Are you having trouble navigating the stairs in your house? With the AmeriGlide Horizon Straight Stairlift, you can enjoy a compact and stylish stairlift that will allow you to regain safe access to all levels of your home. This high performance model comes with a long list of standard and optional features. The manual swivel seat will help you easily get on and off the chair once you arrive at your destination. In addition, the seat comes with an ergonomic design for maximum comfort, easy to use controls and a digital diagnostic display right in the arm. 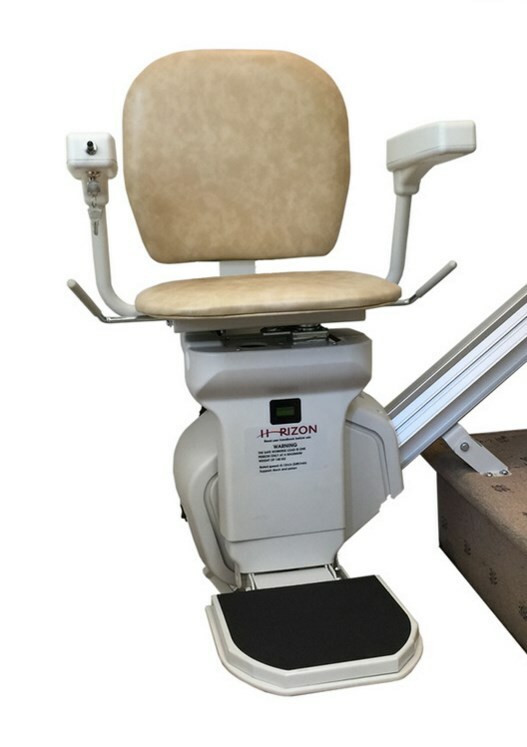 Call today to speak with one of our stair lift experts and order you Horizon Straight Stair Lift.